Talk+ Touch app for iPhone and iPad is currently free (regularly .99) allowing customization of 1-2 cells with images, video, text and audio recording for a speech generating communication or choice tool. I have seen this app but never worked with it so it was time to check it out. 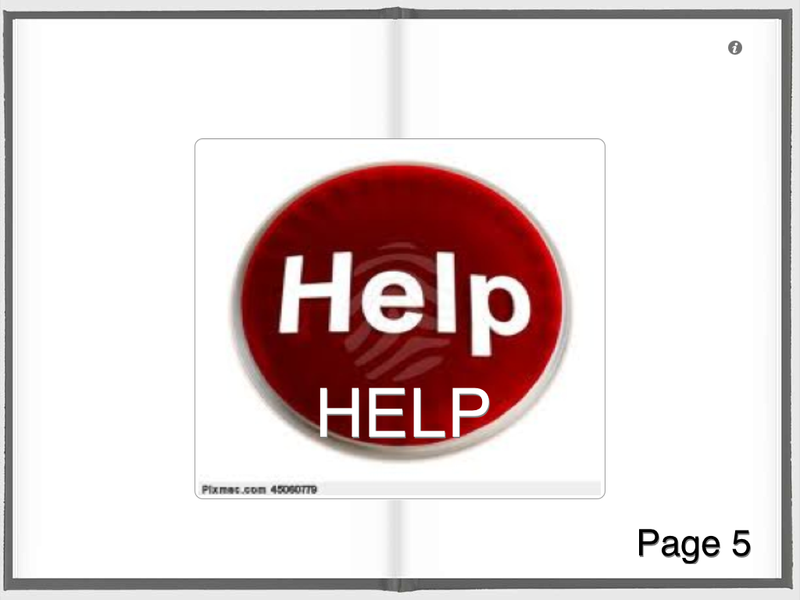 Here is a quick “Help” button I made. The name for the button which displays on the button is also the name on the picture. 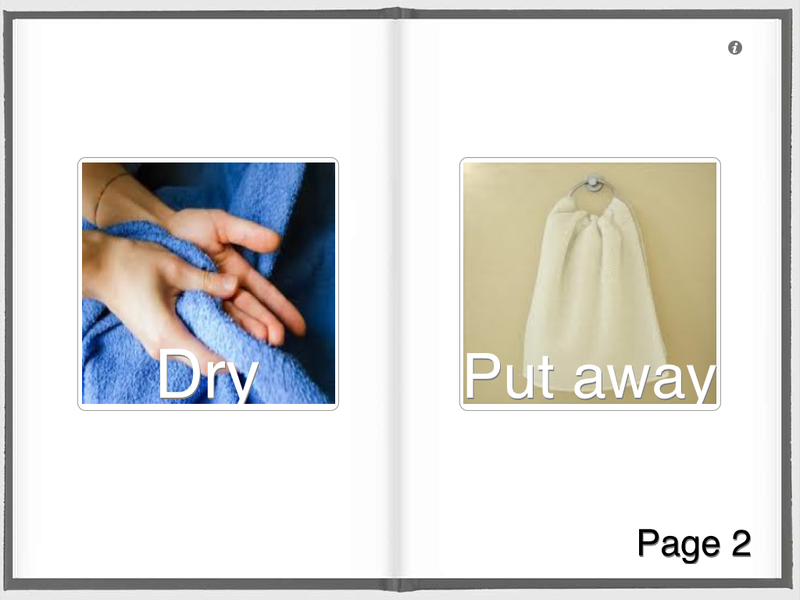 This is okay if there is not a picture but in this case (below) the word is not needed, however the button requires a name to create and be identified in the list of buttons. A work around could be to enter a . or something minimally seen, however it would be difficult to later identify in the named list of buttons. You can swipe to the left to move from one page or set up to the next. Talk+ Touch app has possibilities but is limited and has some quirky things about it. The simplicity of naming and the word name seen on the button creates some issues for such buttons as shown with the Help button created above. Also, when naming the button all the letters in capitals requiring uncapping for each letter typed, a rather unusual convention. Although the number of different 1 or 2 button pages are unlimited, only one set up at a time can be displayed or you would need to scroll through each of those created to locate the button desired. The app provides all or one selection of favorite buttons, limiting its use quite considerably to either all of them or just those chosen as favorite. 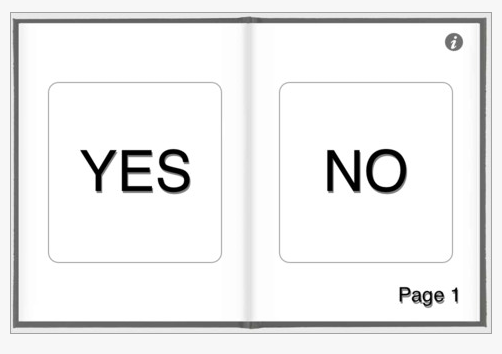 As a free app, Talk+ Touch could be worth it for a quick Yes/No or Help button if needed but is quite limited. 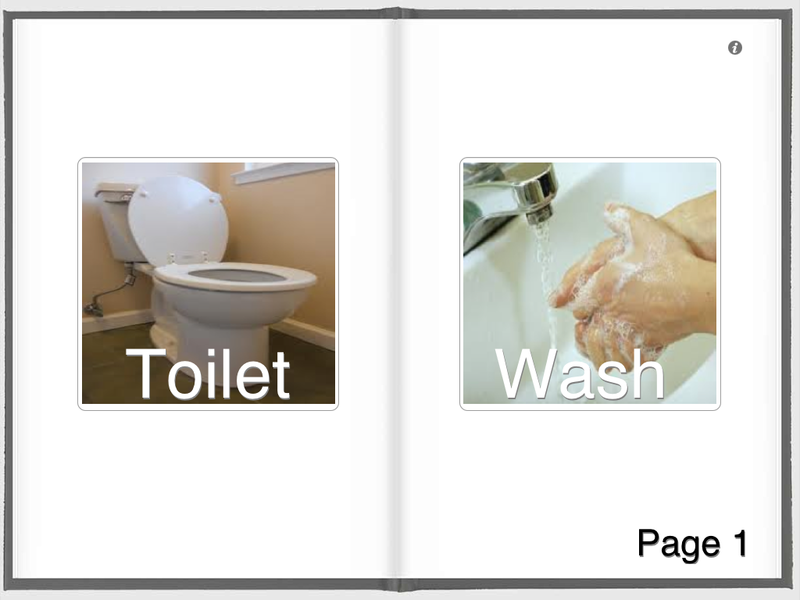 Pages can only display one or two choices. If you were using this app for first/ then sequence, you would need to create the buttons in the order needed as there is not an option for changing the order of the app. This might be worth using, if free, for a short video sequence of a task for a student, however this also could easily be done with story telling apps such as Story Creator, a free book app. Other free apps are available that provide more flexibility with creating, naming and saving communication set up needed for a student such as AbleNet’s SoundingBoard or SpeakAll! apps to name just a few. Sometimes you just have to try them to know! Check it out if free to see what you think. If I have missed applications for use of this app, please share! This entry was posted in App Reviews, Apps for OT's, Apps for Special Needs, Augmentative Communication, Choice Making app, iPad, iPhone, iPod, Uncategorized and tagged App Review, iPad, iPhone, iPod, occupational therapy, OT Apps. Bookmark the permalink. Wonderful apps. Glad I found them. I’m adding them to my blog list. Thanks, Carol. Thank you Jacqui for your comment. I am a huge fan of your blog for all the valuable info you share for school based technology services!